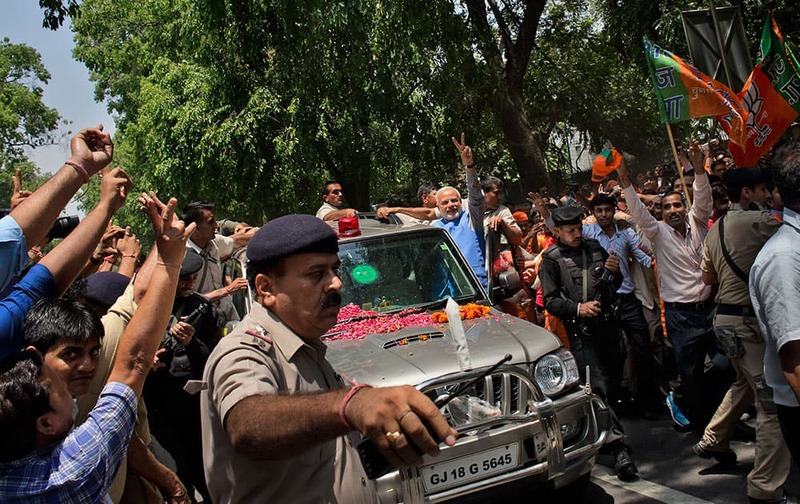 Bharatiya Janata Party (BJP) leader and India`s next prime minister Narendra Modi greets the crowd standing on the footboard of his SUV outside the New Delhi airport. 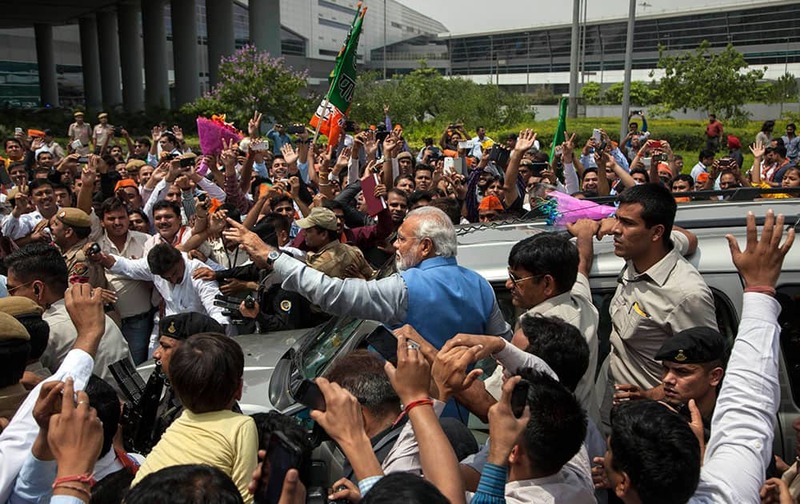 Bharatiya Janata Party (BJP) leader and India`s next prime minister Narendra Modi greets the crowd with a victory symbol outside the New Delhi airport. 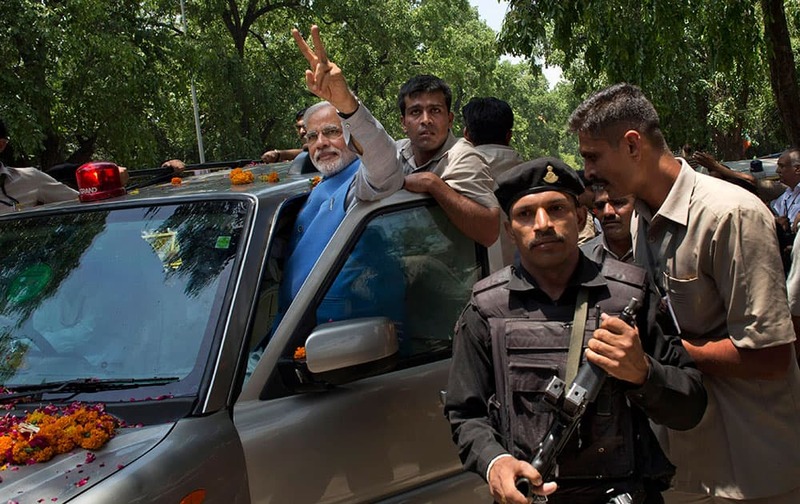 Bharatiya Janata Party (BJP) leader and India`s next prime minister Narendra Modi greets the crowd with a victory symbol outside the party headquarters in New Delhi. 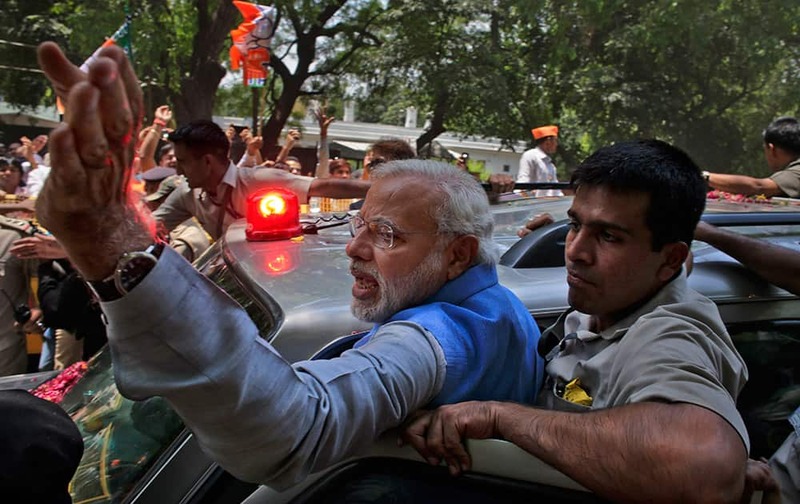 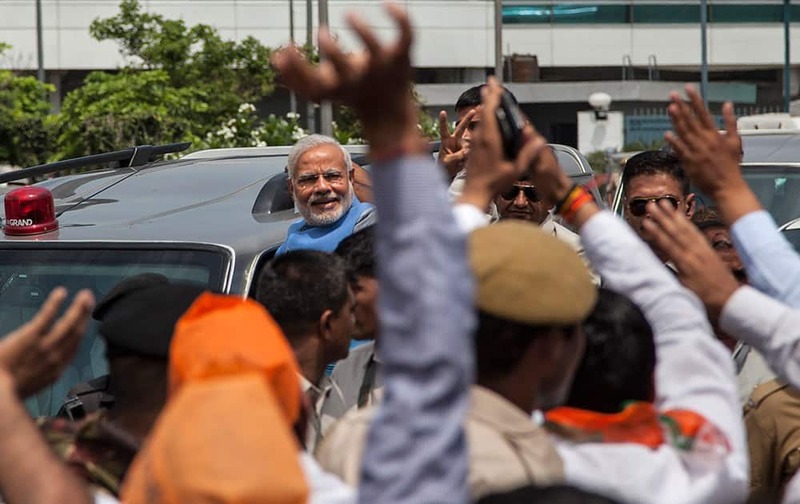 Narendra Modi greets the crowd standing on the footboard of his SUV outside the New Delhi airport. 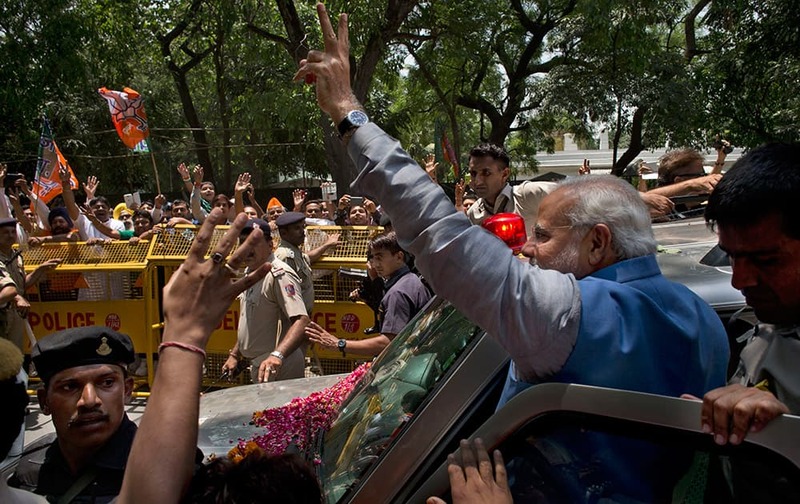 Narendra Modi greets the crowd with a victory symbol outside the party headquarters in New Delhi. 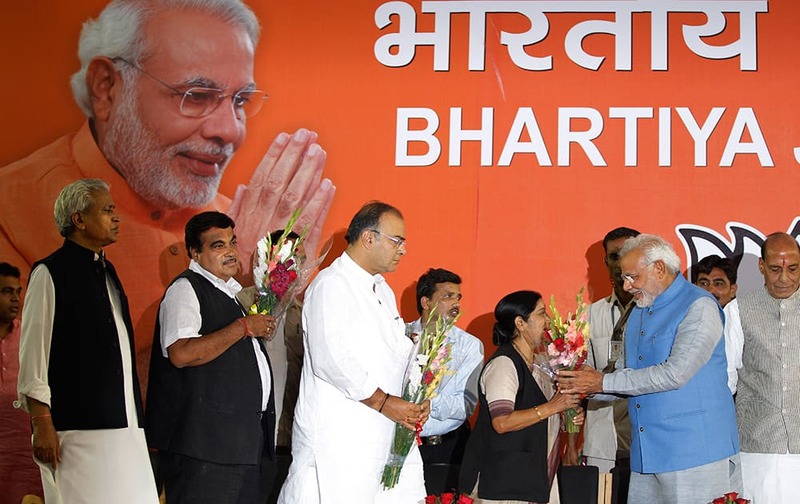 Narendra Modi, receives flowers from party leader Sushma Swaraj, as Arun Jaitley, center, and Nitin Gadkari, second left, wait their turn, at the party headquarters in New Delhi. 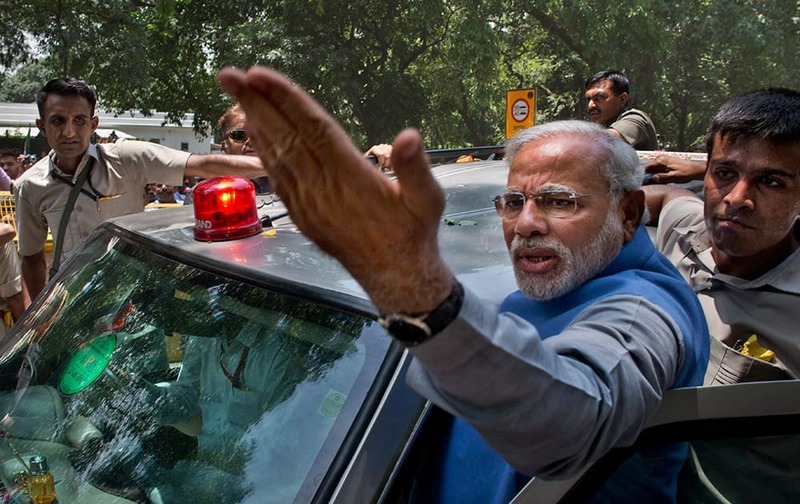 Narendra Modi touches, as an act of respect, the feet of senior party leader L.K. 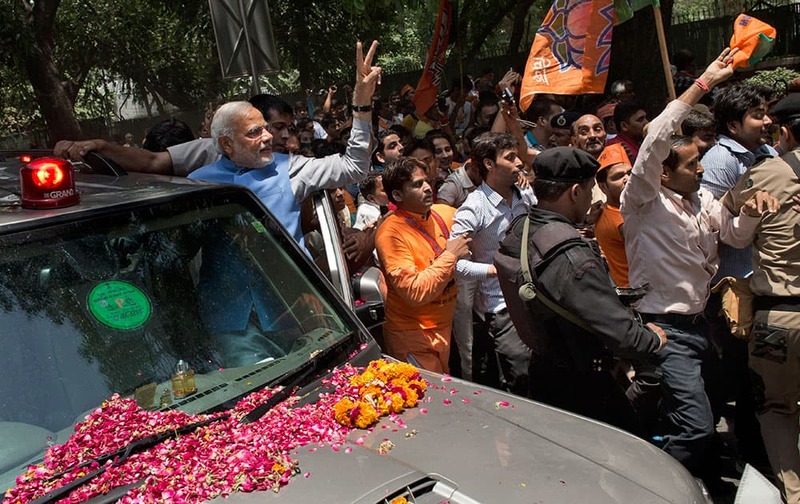 Advani at the party headquarters in New Delhi. 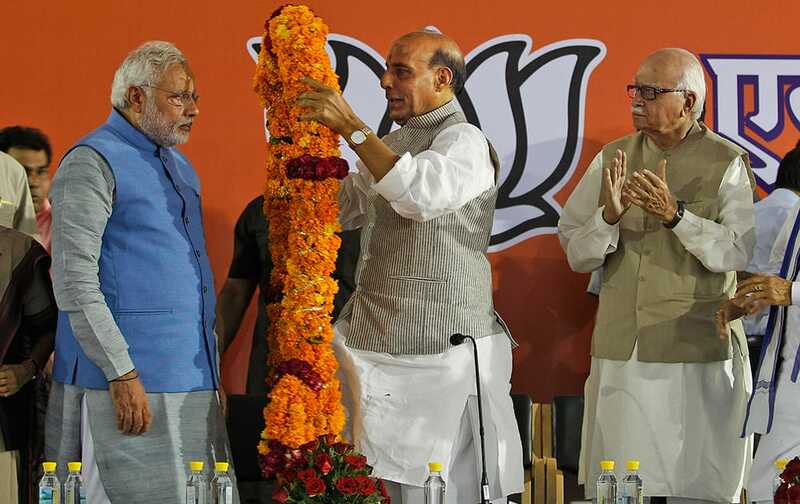 Bharatiya Janata Party (BJP) President Rajnath Singh offers a giant floral garland to India`s next prime minister Narendra Modi at the party headquarters in New Delhi. 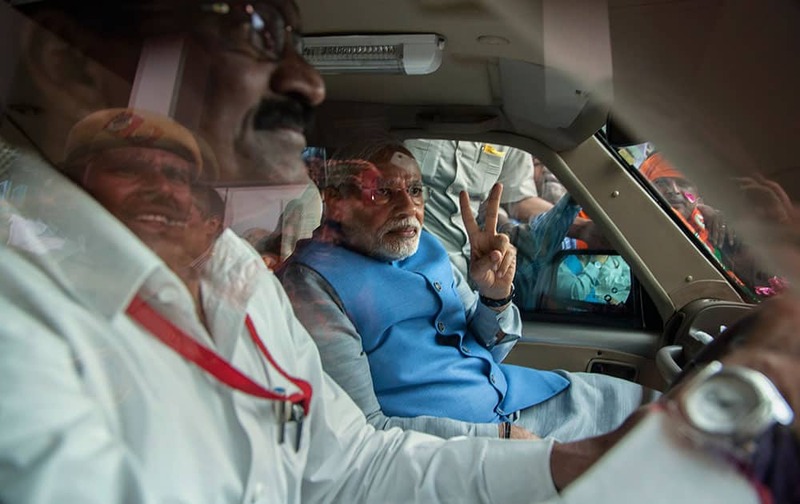 Narendra Modi, left, flashes the victory symbol standing next to senior party leader L.K. 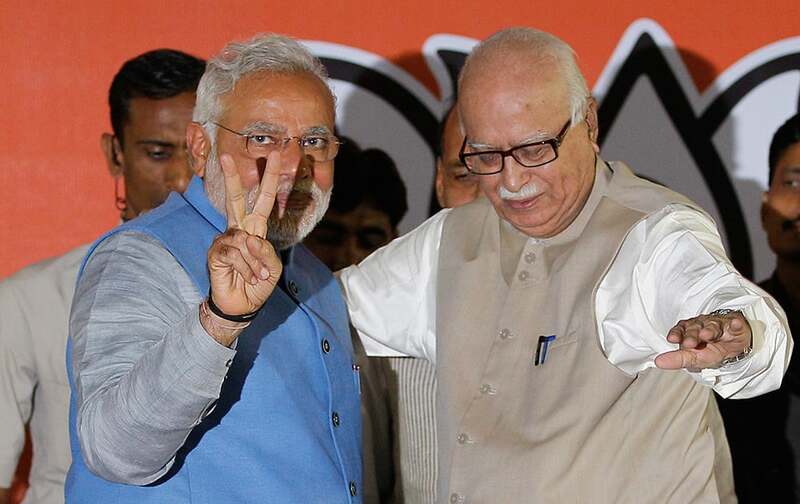 Advani at the party headquarters in New Delhi.